Located next to the Fox River in DePere, the C.A. Lawton Company was originally established as a general machine and foundry shop in 1880. The original foundry building and subsequent additions follow the Astylistic Utilitarian industrial design of the late nineteenth and early twentieth centuries. 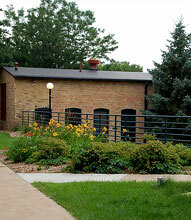 Rich in the history of the local economy, the Lawton Foundry is one of DePere's most significant structures. After nearly a century as an iron castings plant in Wisconsin, the C.A. Lawton Co. General Machine and Foundry Shop faced demolition in the early 1990s. And then, just three weeks before the wrecking ball was scheduled for duty, came a reprieve. The Alexander Co., a historical preservation and urban development firm, scooped up the sprawling brick structure in DePere, Wis., and set about preserving the foundry's historical features by converting the existing building into a 70 unit apartment complex. 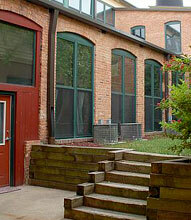 Renovated by The Alexander Company, Inc. of Madison, Wisconsin and listed on The National Register of Historic Places, these monumental buildings were converted into apartments in 1992. Located in the middle of downtown, our community is close to shopping, churches, restaurants, parks and the Fox River trail systems.